Up until recently (the past few years), I’ve only ever worn Aviators (Highschool, College, etc…) because I think they just look so cool! I’ve branched out a bit now, but Aviators will always be my fave style of sunglasses. As such, I can’t help picking up a pair or more, every now and again. As an added bonus, since these are so inexpensive, you don’t die a little inside, whenever you happen to accidentally break one! I thought these Rose Gold Aviators were cute (ombre rosy tint and all), so I got them. I’ll spend ages frying straightening my hair with a flat iron, painstakingly going over each and every strand, only for it to frizz up and go all wavy/curly (basically, wild), the moment I set foot outdoors (when it’s humid). Enough is enough (forget #freethenipple I’m all about #freethecurls). I’ve decided to retire my hot tools (but not really) just for the time being. I figured this stuff might possibly help with that, which is why I picked it up. Incidentally, it seems to be the only survivor (as the rest of the stuff in this haul has gone missing). As soon as I got out of the shower, hair still dripping wet, I slathered this stuff on, generously. Once I was fully dry and dressed and all that, I flipped my hair upside down and blasted it with heat from my blow-dryer (no diffuser, no nuthin’) and it just gave me the most beautiful, soft, bouncy curls! Surprisingly, this didn’t give me the dreaded triangle head either! My hair had insane volume, from root to tip! I’m so happy I got this Curl Cream from H&M and can’t believe I haven’t discovered it before now! For people with curls, y’all need to go get this, like, yesterday (for real)! 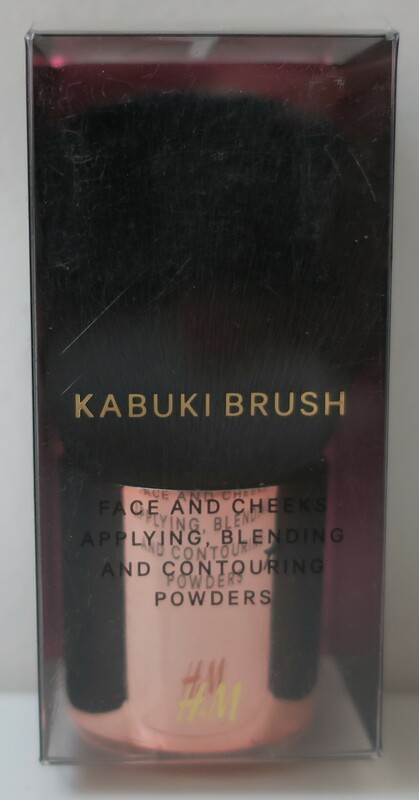 I couldn’t resist picking up a few more tiny Kabuki Brushes (so cute!) because… they looked adorable! Like I said, I have a problem when it comes to makeup brushes (#hoarder). 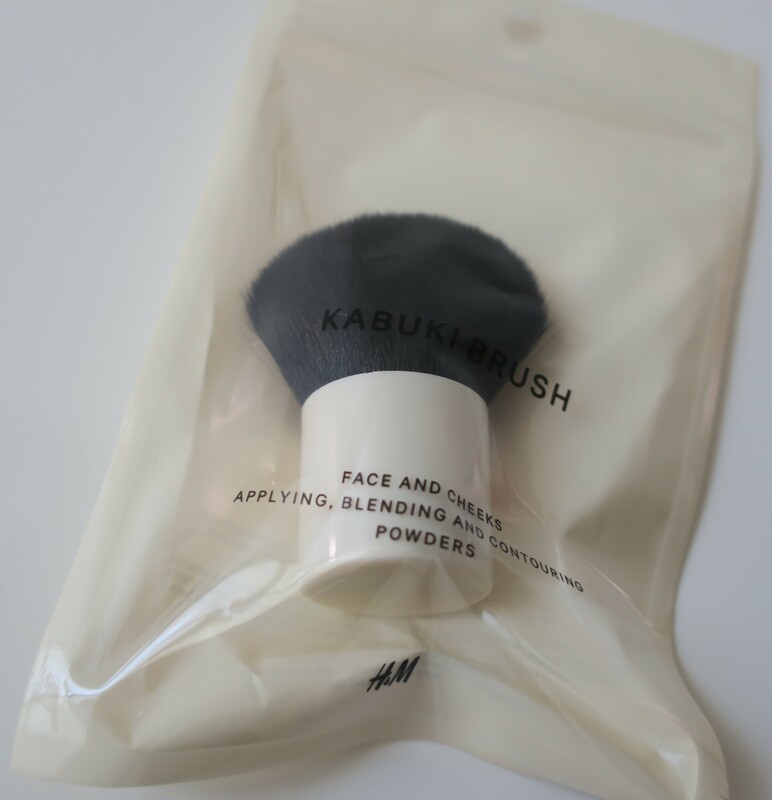 At the moment, the pendulum seems to be swinging in favor of tiny Kabuki Brushes (so stinkin’ cute). This looked new(ish), so I got it. I’d spent such a long time in the changing room (since losing so much weight, kinda’ not sure what size I am now) that they were closing up shop, by the time I got out. 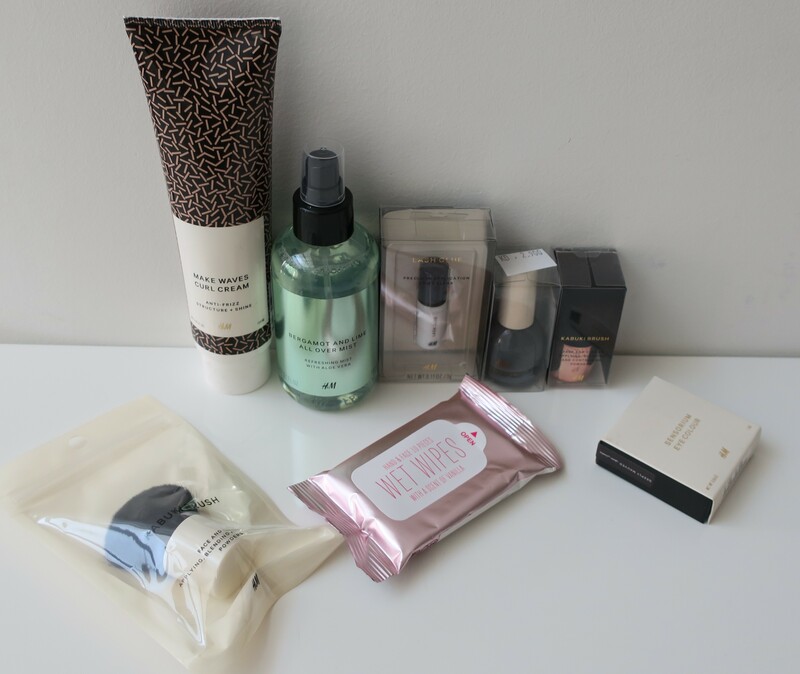 In a frenzied panic (I absolutely detest being rushed) and wanting to get the most out of the Buy Two Get One Free deal, I grabbed the nearest similarly priced item, which was this stuff. Lash Glue is pretty handy to have on hand, right? 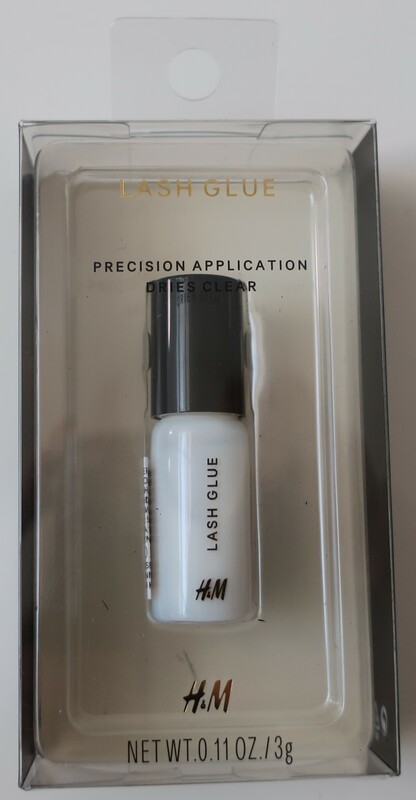 I only use Lash Glue from either Revlon, Duo, or Kiss but here’s hoping the one from H&M doesn’t blind me. 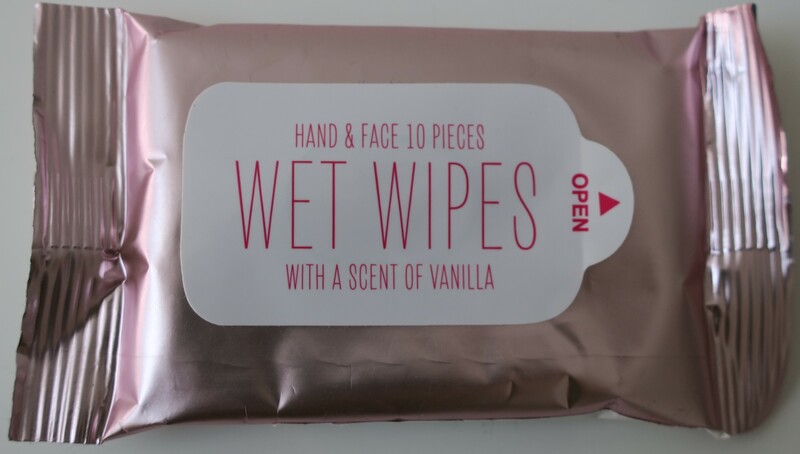 I picked this up at the check-out counter because it was relatively inexpensive (1 wet wipe = 100 fils so, not that inexpensive at all but whatevs) and I can’t seem to say no to Wet Wipes. Truth be told, the fact that these were vanilla-scented (love!) is what sold me. 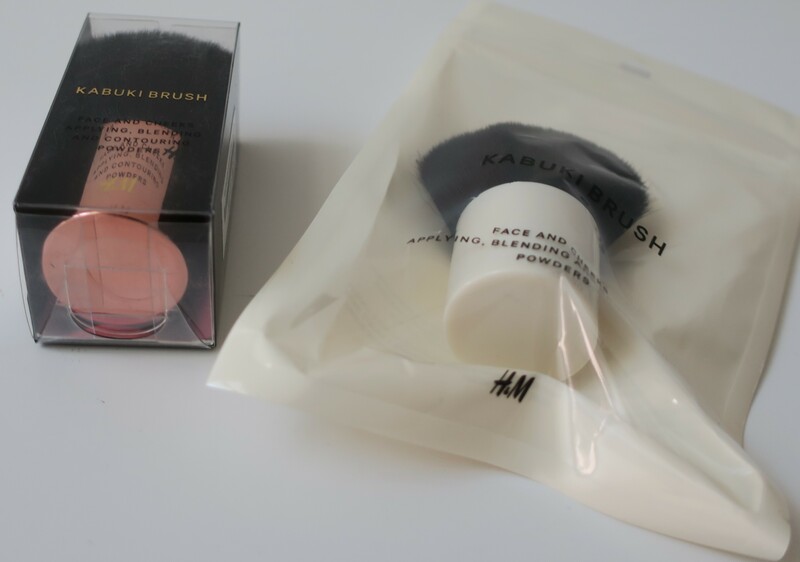 Plus, how cute is the metallic lilac packaging! I definitely don’t need any more “perfume-y” things and if I’m being honest, I’m kinda’ over how alcohol-y most of the cheaper body sprays and body mists tend to smell (no scent, just straight up alcohol). 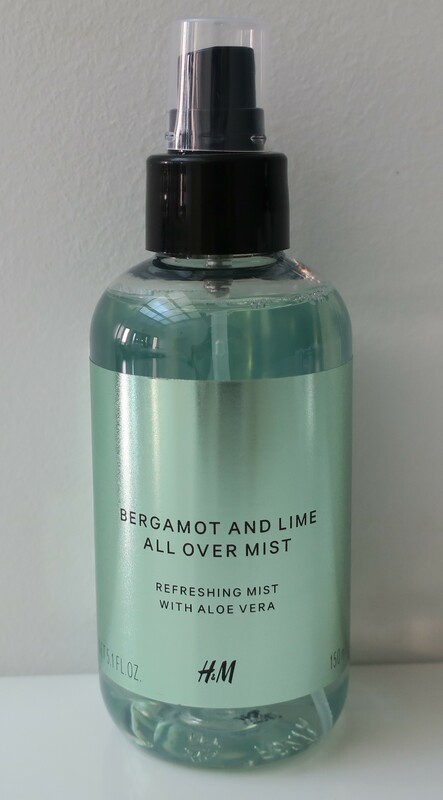 However, this stuff had Bergamot as well as Lime, both of which are known for smelling delightfully citrus-y and uplifting! So I spritzed some of this on my wrist and no joke, you guys, this stuff smelled absolutely deelish! It legit smelled like Skittles! Everybody needs to go give this a sniff, asap! Apparently, I can’t do basic math, because the dude at the cash register told me that I should go pick something else out (for free), and so I picked up this nail polish. First of all, how gorge is that shade? Second, how delightful is that name? Cloudburst! Third, it kinda’ matches the H&M clothes that I hauled earlier (here). Obsessed! I wanted to try out their eyeshadow singles, so from a very pitiful selection of shades, I finally settled on this one, Deeply Mauved. Not to sound ignorant but doesn’t sensorium sound kinda’ Turkish (Latin, more likely)? It could be a made-up word (just like how Bath & Body Works are always making stuff up in their “ingredients” list) for all I know. Anywho, I detest the packaging (ugh, gold) but the fact that it’s clear is handy (don’t have to open it up up to see the shade), and the circular shape is pretty cute too! I know it looks straight up brown in the photos but Deeply Mauved is a beautiful taupe (kinda’ brown, kinda’ grey) with what I would call a satin finish. Gotta’ love those taupes!